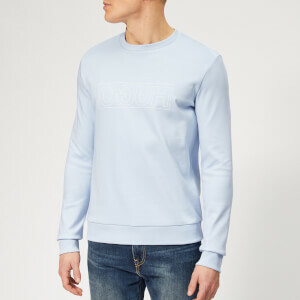 Men's crew neck sweater from Champion. 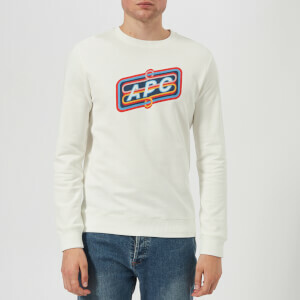 Cut from pure cotton using reverse weave technology for durability, the sweatshirt features a ribbed crew neck, long sleeves with ribbed cuffs and an embroidered 'C' logo to the left chest in blue and red. 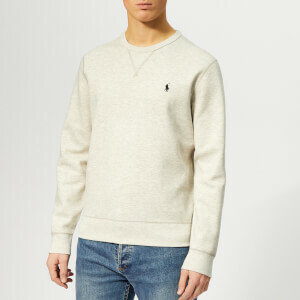 The jumper is finished with additional Champion branding at the left sleeve and a rib-knit hem. Fleecy lining.